The Children’s Place Labor Day sale! You are here: Home / online shopping / The Children’s Place Labor Day sale! The Children’s Place is having a Labor Day sale and you can score some AWESOME deals! Save 15% off everything and get free shipping, too! This is a great time to do some last minute back to school shopping or to get some new fall clothing! 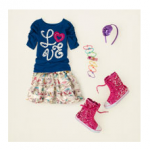 The Children’s Place: Save 15% off your total purchase + 4% cash back! The Children’s Place Black Friday sale live online NOW! 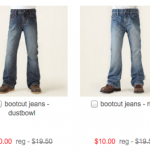 The Children’s Place STOCK UP sale plus free shipping! The Children’s Place President’s Day Sale: 15% off your total purchase plus 8% cash back!